If you came to LitReactor from The Cult, then you may have some passing familiarity with that site's anthology project. For the noobs: Stories were being plucked from the writing workshop at The Cult, and Chuck Palahniuk was critiquing them. It was quite a bit of fun. There was talk of taking the best 20 stories and putting them out as an anthology. There was even a rumor that Chuck himself might be involved. And then not much happened for a little while. Until now! 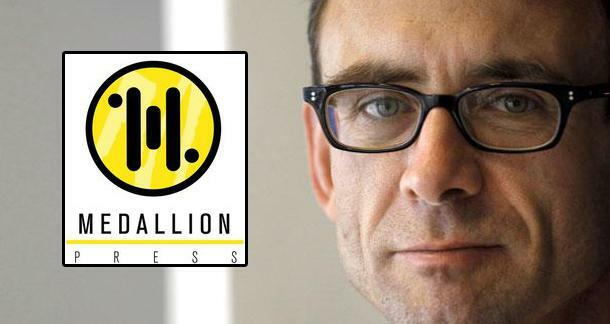 Medallion Press, a division of Medallion Media Group, Inc., has acquired the anthology, edited by Palahniuk, Richard Thomas, and Dennis Widmyer. And it includes an intro from Palahniuk. The anthology, Burnt Tongues: Stories from Chuck Palahniuk.net, features transgressive short stories from twenty of Palahniuk’s online writing workshop students, whose origins span the United States and the UK. The stories they write are as eclectic as the authors themselves, with titles like “Zombie Whorehouse,” “Mind and Soldier,” and “Engines, O-Rings, and Astronauts,” but each has the common thread of a minimal writing style like Palahniuk’s. There's also some more information on this at The Cult. As you can imagine, we're all stoked. There's some amazing talent on display in these stories, and Palahniuk's intro is awesome, and the whole project is a very fitting tribute to the writing community at The Cult, which really planted the seeds for LitReactor. Congrats to all the writers who made the cut, as well as Dennis and Richard. Stay tuned. I'm sure you're going to hear more about this in the future. In the mean time, let's have a round of applause for the writers. Super stoked to be in this thing. It took a while, but I'm glad it's finally happening. You said it, Brandon. I'm thrilled to be a part of this collection, and really think it's going to be something special. thrilled that this finally happened, honored to be a part of it, and excited that Medallion is embracing this project with such gusto. I want to get my hands on the anthology! I think I read many of the stories at the Cult, but not all. Anyone knows the list of writers? Congrats Brandon, Chris and Richard. Who else, who else? hey liana, we'll be posting up the full TOC once we get it finalized, just a few pieces of paper needed before we can announce that. but yeah, you'll recognize the names, so many great stories in here, i know it'll be a fun read.